Are you looking for some great social media blogs? There are so many social media blogs out there its hard to choose just a few! In honor of Social Media Day, we are going to share with you our 25 favorite social media blogs, in no order. These are all based on content, quality, engagement, and success. This is an impressive social media company with a lot to offer! Not only do they maintain their clients accounts, but they have time to produce a wonderful blog as well. They have great and fresh content about social media topics from actual cases. This team based company offers great social media services as well as a wonderful blog with lots of information to soak in. Some of the writers include: Aaron Lee, Josuha Parkinson, Rebekah Radice, and many others. They discuss real events and use their personal and professional experiences in their articles. Jon has a great blog where the content is shaped by personal experiences. It mainly focuses on Facebook and how to make your brand successful by utilizing many aspects of this platform. This blog is beautifully laid out and very visually appealing. She also has a gift for writing on all topics of social media marketing and strategic methods. You can learn a lot of very useful information and tips to apply in everyday situations. This is more than just a social media blogging site; it provides a vast variety of topics. Having something for everyone, it is very organized and has a team that keeps the content fresh by posting new topics and stories every few hours. One of the world’s largest online social media magazines has one of the most talented staff that creates wonderful and insightful content. With over 90 social media experts contributing to content, they provide a wide range of topics that fit all levels in the social media industry. What a fun Blog from a fun author! She is an inspiring writer that creates all types of social media content one can use to become successful in this industry. You can learn a lot from this social media guru! This is the perfect blog site for those who are involved with small business practices. 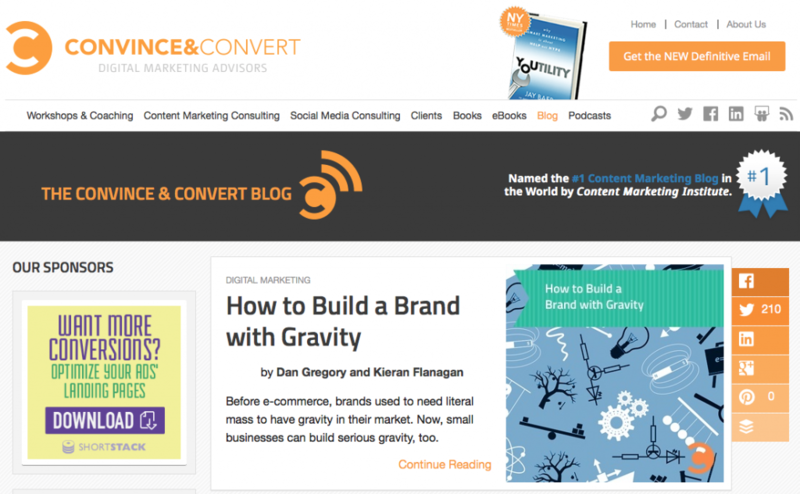 These blogs have a wide range of content and really focus on the customer’s engagement. 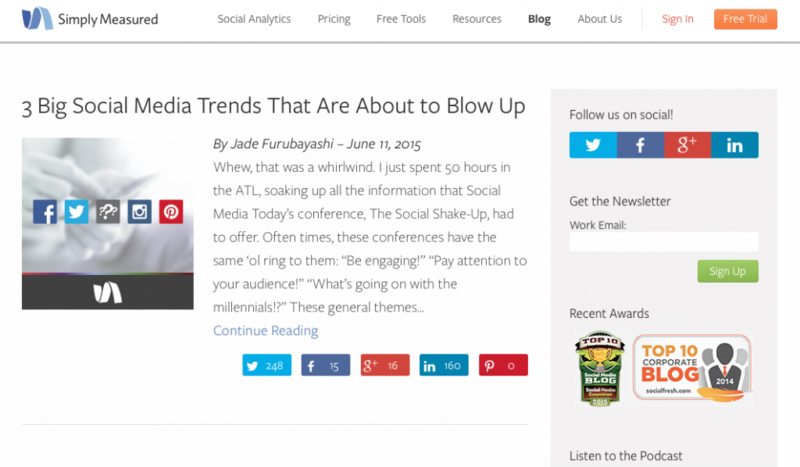 The Next Web is a very visually appealing blog that is easy to navigate. They have every topic you can think about when it comes to technology and the social media world. This site a variety of content from several writers providing very informative posts that are current and well researched. You can find a variety of information throughout the day. A very current blog with up to date topics. This company specializes in social media and it is obvious from the blog posts they provide to their readers. This is such a great site to find a wide-range of multiple posts that deals with everything social. They have new and fresh content not to mention they were named the #1 Content Marketing Blog in the world by the Content marketing Institute. 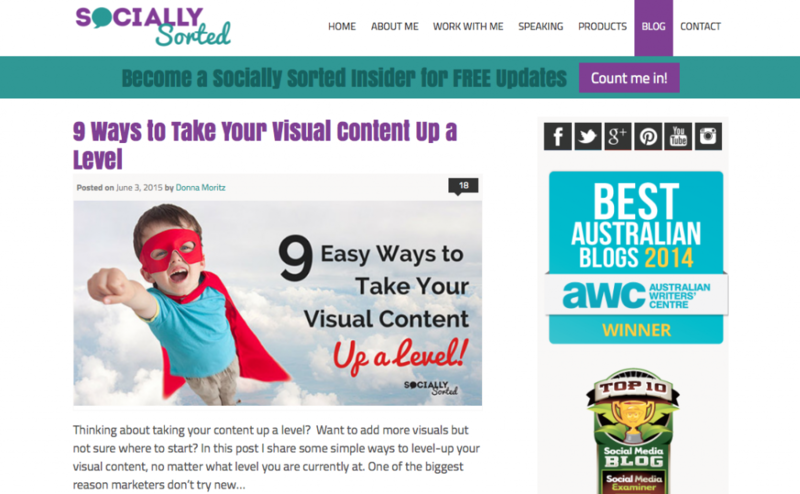 This is a very fresh and clean looking blog that is easy to navigate through. You can find all sorts of useful info here. This blog site is very current where you can find serval social media posts throughout the day. It is filled with many marketing articles that guides readers to focus on their customers and how to apply the techniques to do so. Heidi really knows her stuff about the social marketing world. She has consistent up- to-date posts that really focus on what is going on in the industry in that moment. She is an inspiration who shares her passion with the rest of the world. 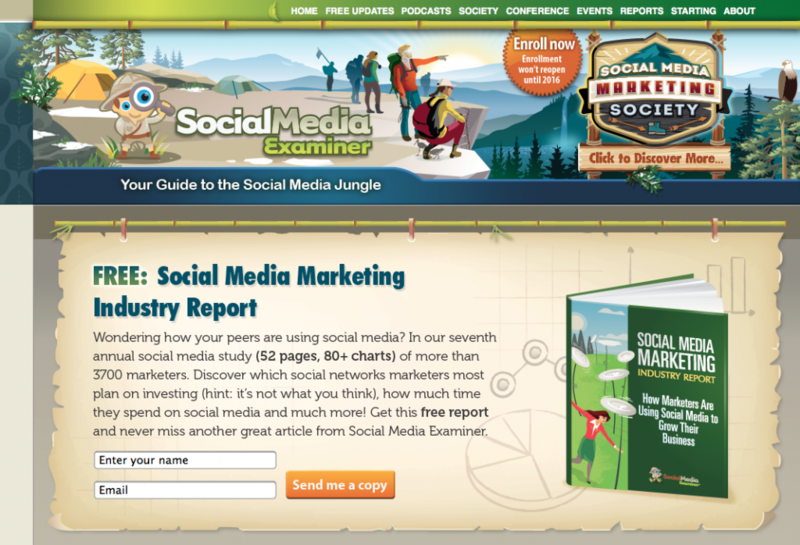 From videos to articles, this site has everything you need to know about the social media marketing world. Other than the useful information you can find, they have a webinars section where you can learn and sign up for many new social media opportunities. This site doesn’t just offer web hosting but it offers some pretty great articles as well. Host Gator has many informative topics from advertising to random tid-bits. This is a great place to get some fun information. Jeff is an expert social media blogger who discusses topics on all social platforms. His focus is to help people get noticed and create a strong online presence through his material. This Australian blog is fun and inspiring! Donna Moritz the creator and writer of the page really knows her stuff. You can find all sorts of social media articles to apply to your everyday practices. This site is a blog where you can find anything about social media and the technical side behind it. Their team creates current content every few hours so there is always something new to discover. This fresh blog is very fitting for its name. It is easy to navigate and has some great topics on everything social media. There are serval authors who contribute to the content that is produced on this blog offering multiple perspectives on the social media world. This company points out some marketing mistakes through out time so that you don’t make the same mistakes they did. They open your eyes to see another point of view on the subject. What a great way of making content visual and informative. This blog is very up to date and posts several times a day creating a variety of information for their readers. This great site is a great way to find out what is going on in the world and relates this to social media. They really speak to the reader on many topics such as the news, sports, technology, and countless others. This site is visually pleasing to the eye and easy to navigate throughout. 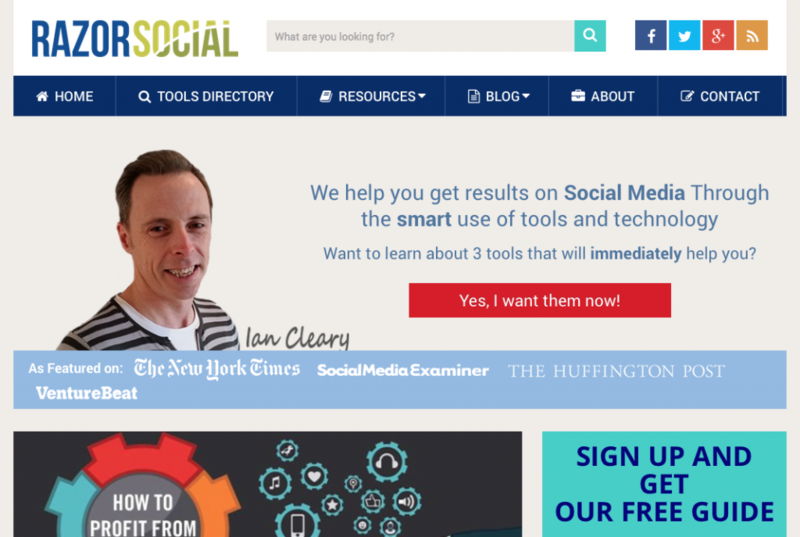 It is published by Ian Cleary, who provides various articles on everything social media to new software. One of the best features on this site is the tools dictionary, that will tell you want the software is, how to use it, where to find it and how much it is. This multi-author blog is lead by Michelle Linn. Her strong editorial team delivers empowering and insightful content. They have topics that everyone can apply to their everyday marketing practices. Happy Social Media Day! We hope you enjoyed our list and don’t forget to let us know who your favorite reads are as well! The Keyhole Blog gives marketers, journalists, communicators and executives insights about how to better analyze metrics, develop targeted content and grow a strong social media presence. Heck of a job there, it abltuloesy helps me out. Improved computer program Ranking with higher compartmentalization of your web log posts Enhanced link quality by earning sensible quality backlinks More variety of returning traffic Boost Keyword relevance with the proper anchor text. Very Thanks For Sharing Informative blog Keep It up. i will read a blog related to social media it will be helpful for me its about how to improve marketing though social media it will be so helpful for me..